"Light Up Your Life Naturally"
Available in various natural shapes, sizes and attractive, rich colours, Himalayan Salt Lamps look beautiful, warm and welcoming, they contain many beneficial health giving properties. 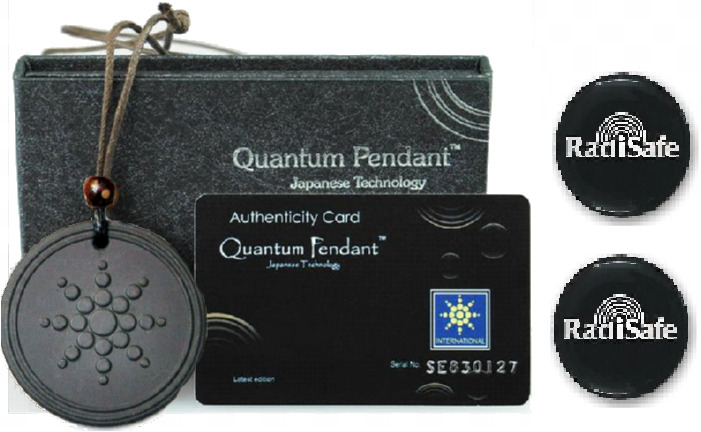 They are hand-crafted to preserve their primordial energy and maximize therapeutic benefits. These natural works of art look stunning and are recognized for their enormous benefits to our welfare by bringing the feeling of natural outdoors into the home. The soothing glow and striking natural shapes of Himalayan Rock Salt Lamps enhance the décor, and warmth of any room. As the light waves shine through this ancient salt it neutralises the Electro Magnetic Field (EMF) caused by the electrical devices that surround us and purify the air with invigorating negative ions that reduce the number of airborne bacteria and increase our feeling of well-being. Behind the soft warm glow of a Himalayan Rock Salt Lamp is a mini natural powerhouse that will constantly improve the air around you and contribute to your well-being. Natural Himalayan Rock Salt Lamps Are SIMPLY AWESOME! 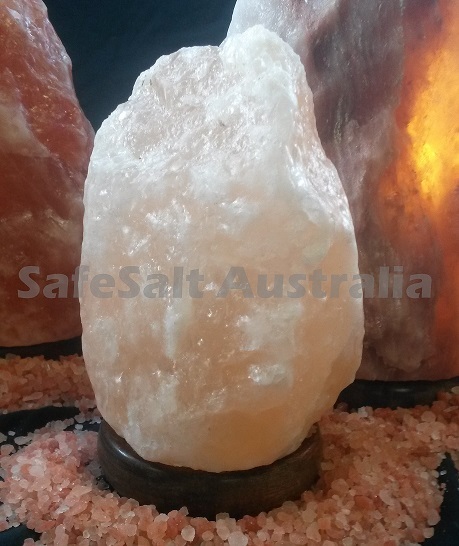 Each Himalayan Rock Salt Lamp sits on an attractive wooden base and an Australian approved cord and Led Bulb FREE. Can You Name Any Medicine With These Side Effects? Think of the invigorating feeling you obtain when close to the ocean or walking through a forest, the uncontaminated, ionised air beside a waterfall or in the atmosphere after a thunderstorm? The feeling you experience comes from an abundance of nature’s negative ions – negative ions help you feel refreshed and revived! That is exactly how Himalayan Rock Salt Lamps work. They purify and cleanse the air by a process of Ionisation. Now you can enjoy that experience every day. Himalayan Rock Salt Lamps are hand excavated from 250 million year old salt deposits situated at the foothills of the Himalayan Mountains. This ancient natural crystallised rock salt is well known for its ability to effectively and naturally purify, enrich and improve the quality of the air we breathe. A Himalayan Salt Lamp in your home or office naturally improves the indoor air quality by creating healthy negative ions? This is achieved by Hygroscopy, (the ability of a substance to attract and hold water molecules from the surrounding environment,) as the lamp warms this gentle chemical reaction takes place. Health giving negative ions are then released into the air, counteracting the positive ions from all sources around the home and office. The air is purified neutralising the effects of airborne bacteria, mould, viruses, allergens, respiratory irritants and asthma triggers cannot continue to exist in the negatively charged environment. The beautiful glow from Himalayan Rock Salt Lamps brings a natural, tranquil feel to your home. Himalayan Rock Salt lamps can be placed near televisions and computers, around smokers, in offices with air-conditioning, in fact anywhere you want to restore and promote natural air quality. Each Rock Salt Lamp is unique and hand made using ancient salt extracted from the foothills of the Himalayan Mountains. Fundamentally manufactured by Mother Nature over 200,000,000 years ago, and great care is taken to retain their natural beauty. These hand carved Rock Salt Lamps come in several sizes that will transform any space and enhance your visual experience. The Himalayan salt, used to create Himalayan Salt Lamps, is one of world’s most sought after items for nutrition and holistic health. Researchers and health experts have discovered many uses for this incredible product over the years. Himalayan Salt Lamps are a stunning, natural alternative to mechanical ionisers. Due to their stunning rich colours, salt lamps are also used in colour therapy, i.e. chromo therapy. Salt lamps have also been appreciated by Feng Shui art connoisseurs. Even when cool, they have some beneficial effect, but when lit, the gentle warmth they generate produces a far higher number of negative ions. Bio-energy therapists and homeopaths in around the world, have recommended crystal salt lamps for a long time to support treatment of allergies, respiratory system and cardiovascular diseases, and often used in the treatment of rheumatism. They are all unique and not symmetrical, there are 3 or 4 sides to each lamp thereby offering a different effect, depending which side you face. Allergy Sufferers – A salt lamp placed in the bedroom will help improve air quality reducing airborne bacteria and irritants that can trigger Asthma and allergies. Children's Bedrooms – a perfect night light that will help them sleep and make them feel ‘safe and sound’. Salt lamps are completely safe. Lounge Room – place next to the TV or other electrical devices to clear the air and reduce EMR (electro magnetic radiation) that is present in every home. Himalayan Rock Salt Lamps emit a pleasing, ambient glow that gives a feeling of peace and calm that contributes to your well-being. Place a Himalayan Rock Salt Lamp anywhere you want to improve the air quality or you want to create a relaxing, calm, natural environment. In your Office – A Himalayan Rock Salt lamp can help improve your concentration, reduce stress and energise your body. It neutralises the effects of artificial light and poor air circulation. Place a salt lamp on your desk near your computer to reduce EMR pollution and minimise the effects of the monitor radiation. The soothing glow of a salt lamp can aid many conditions, such as insomnia, anxiety and neurosis. When convalescing a Salt Lamps can aid recovery from illness and offer a healthy and comforting companion. Natural Health Practitioners - A Rock Salt Lamp glowing in your consulting room offers a calm relaxing environment, purifies the air and assists in the healing process. Feng Shui – Rock Salt Lamps strategically placed enhances and clears negative energy from a room. Meditation - When relaxing in peace and quiet, a Salt Crystal lamp near you is known to enhance your meditative experience. Massage Rooms and Spas - A Salt Lamp or two in treatment rooms will greatly enhance your clients experience, keep the air fresh and create a calm, relaxed environment. Also suitable for - Restaurants, Doctors / Dentist waiting rooms, Hair and Beauty Salons, small and large offices. It is recommended to keep your Rock Salt Lamp turned on as much as possible. The longer it is on the better the efficiency. They are safe, economical, eco friendly, natural and pure (untouched by pollution). Place your salt lamp on a placemat or something similar to protect the surface your crystal salt lamp is sitting on. Himalayan Salt Lamps have been scientifically shown to increase negative ion presence by up to 300%, therefore correcting the imbalance of excessive positive ions. Scientists have found that the airs composition of negative ions should usually be between 1000-1500 per cubic centimetre. Measurements have shown that the number of negative ions decreases to 200 per cubic centimetre in a closed room containing several people. Scientific studies also show that salt lamps can increase the negative ion count by up to 300%. Negative ions are created naturally by wind, sunlight, surf, waterfalls, and rainstorms. Negative ions are electrically charged molecules made up of oxygen. A positive ion in the air is a molecule that has lost its electrons through the process of air pollution. In ordinary, fresh country air, we find up to 4000 negative ions per cubic centimetre and, near strong surf or close to a waterfall, up to 10,000 negative ions can be found. This can decrease to less than 100 in major cities during the rush hour! Negatively Ionised air substantially reduces the number of airborne bacteria indoors. A leading microbiologist and experimental pathologist at the University of California, Dr. Albert Krueger, found that even a very small quantity of negative ions kill bacteria and remove them from the air so they were less likely to infect people. According to the “Journal of Hygiene”, scientists showed that ionisation reduced bacterial levels in burns and plastic surgery units by over 96% over a two-week period, resulting in much better and more rapid healing of patients. Not only were negative ions found to speed recovery in burn or asthma patients, they were also discovered to affect serotonin levels in the bloodstream, stabilize alpha rhythms and positively impact our reactions to sensory stimuli. The greater level of alertness can translate into improved learning, improved well-being and enhanced human performance of mental tasks. The “Journal of Applied Microbiology” states that the use of negative ions was found by scientists to reduce the presence of airborne viruses by about 40%. A study featured in the 1987 issue also showed the negative ions are free from any adverse side effects. 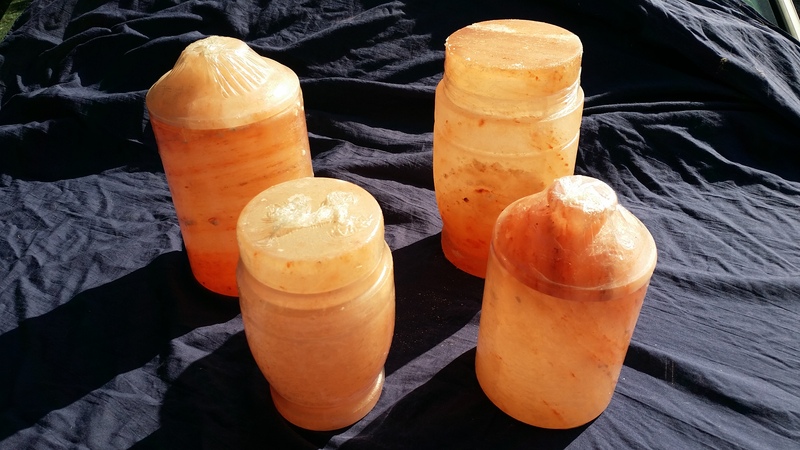 Due to the hygroscopic properties Himalayan Rock Salt Lamps should not be used in damp rooms, outdoors, in humid conditions, near evaporative cooling, or be allowed to get wet. If your lamp gets wet, switch off at the power source, remove the cord and globe and then wipe the rock salt with a dry cloth. When dry, replace the globe and cord and switch on the lamp. Should water drip into the globe connection, replace the cord and globe immediately. If your Himalayan Salt Lamp gets a bit dusty or dirty, switch off at the power source, remove the cord and globe, then moisten a cloth (squeeze out) and rub the dirt off the lamp. For heavy, ground in dirt, use a scourer (this won’t hurt the lamp), allow the lamp to dry either in sunlight (inside) or by replacing the globe and cord and switching on the lamp. In exceptionally humid or wet weather conditions, it’s strongly recommended you have your lamp on continuously to keep it as dry as possible. For best results, keep on 24/7. Salt lamp globes keep best if the lamp is stationary and not subject to vibration. If the globe blows out often, check it is screwed in firmly and not touching the surface of the lamp. It is recommended you place your salt lamp on a placemat or something similar to protect the surface your crystal salt lamp is resting on. Disclaimer: It is important to mention that Himalayan Salt is not a medicine and is not being promoted by us as such. The above information is for educational purposes only and is not intended to diagnose any illness. In any case of illness it is highly recommended to contact a qualified medical practitioner.